Cleansing - A proper cleansing is a must for Healthy & Glowing skin. Always use a facial cleanser according to your skin needs e.g. Dabur Uveda Clarifying Face Wash if you have oily sensitive skin, use a mild facial cleanser like Dabur Uveda Moisturising Face Wash if your skin is dry and mature, Oily skin can always use a gel based facial cleanser. Never over do cleansing, not more than twice a day. You can always use a face refresher like Dabur Gulabari Face Freshner to perk up your complexion any time during the day to achieve Healthy & Glowing Skin. Moisturizing – It’s an essential step whether you have oily or dry skin. Regular moisturizing keeps skin healthy, delays signs of ageing and adds natural glow. Always use moisturizer according to your skin and as per current weather e.g. during winters skin needs more moisture than ever, use Dabur Gulabari Moisturising Cold Cream for face and Dabur Gulabari Moisturising Rose Lotion for body. Incase of Oily skin use Dabur Uveda 2-in-1 Moisturiser, apply a dime size amount of moisturizer and massage it into your skin. Wait for 1-3 minutes and then wipe off any excess oil/moisturizer from you face as it can attract dirt and cause breakouts. Try using a reparing cream like Dabur Uveda Complete Repair 5 Cream if you have sun-damaged uneven skin or Dabur Uveda Age Renew 5 Cream if your skin has started showing early signs of ageing like dullness and fine lines. Exfoliation – Regular exfoliation helps to get rid of flaky/ dead cells and reveals Healthy & Glowing Skin. Use a gentle exfoliator twice a week to get rid of dead cells and reveal healthier skin. Don’t be too harsh while using an exfoliator, massage gently, for 5 minutes and wash off using lukewarm water. Face Mask – Always make sure to apply face mask after exfoliating, it helps in restoring moisture back into the skin or draws out impurities. You can choose a face mask according to your skin needs/ concerns. My recommendations are Dabur Uveda Lightening & Radiance Mask for dull skin and Dabur Uveda Clarifying Mask for oily to sensitive skin, for anti ageing purposes you can use Dabur Uveda Complete Repair 5 Mask. Sunscreen – Never ever step out of your house during the day without a sunscreen. UVA/UVB rays cause damage, dullness and ageing. By using a sunscreen (minimum spf 30) you can prevent your skin from tanning and discoloration. Try and use a sunscreen even when you are indoors since electronic appliances like TV, computer, bulbs emit UV rays. Also if you spend lot of time in front of computer , reapplying a sunscreen every 3 hours is highly recommended for Healthy & Glowing Skin. I will recommend using Dabur Uveda Sun Block Cream spf 30 that prevents tan and lightens skin tone and helps in maintaining Healthy & Glowing Skin Apart from above mentioned steps one should eat plenty of fresh fruits and vegetables to get anti-oxidants. Try to Drink 10-12 glasses of water a day to keep your skin hydrated. Regular exercising also helps to a great extent to achieve Healthy & Glowing Skin. 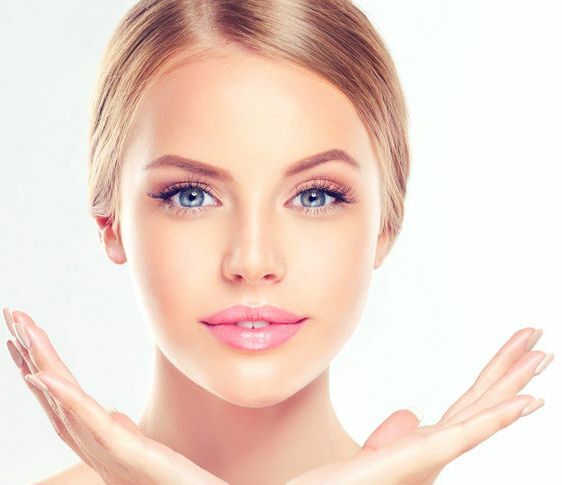 Follow these beauty tips and work your way towards a Healthy & Glowing Skin.